Australian Farmers Open Their Gates to Travelers. Perhaps born out of necessity, Australian farmers are opening their farm gates to the caravanning and camping public who are looking for a truly unique experience with good old fashioned fun high on the agenda for both children and adults alike. 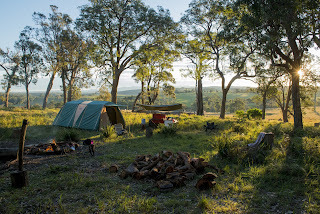 Camping on rural farming land in Australia began it's life with the YouCamp website which was established in 2013 by James Woodford and Prue Bartlett. YouCamp facilitates communication between farmers and those wanting to camp or bring their caravans to a working farm in rural areas. Farmers can list their farms free of charge. 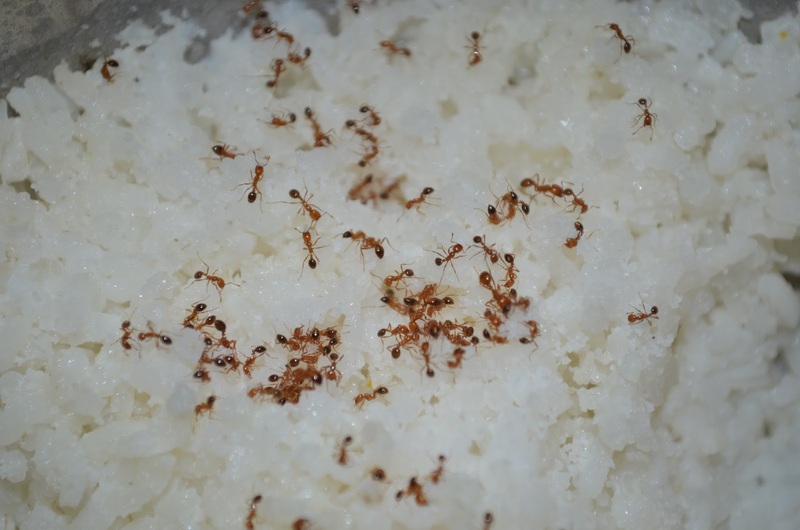 Their are major benefits to be had by both farmers and travelers. Farmers get to reap an extra income which helps to support the potentially low income level from the land, and travelers get an amazingly authentic experience of what it's like living on a working farm and enjoy the great outdoors. Most farmers offer an opportunity to interact with the farming process, such as feeding the lambs, collecting eggs from the chickens, and petting the goats or other livestock. It can be a wonderful experience for both children and adults alike, with children especially loving the animals, fresh country air, and room to run and play. It's an experience enjoyed more and more by school groups too, with a number of farms around Brisbane able to accommodate school groups who love the paddock to plate concept and enjoy various activities such as tasting farm fresh produce, learning bush skills, and even archery. As with any other camping or caravanning enterprise, farmers must abide by Council regulations and provide at least basic ameneties such as toilets and showers for their guests, depending on the regulations in their local government area. Labels: YouCamp opens farm gates to camping and caravanning. Why caravan weight distribution is so important. Safety is such an important factor while towing your caravan and Australian road conditions can vary dramatically around the country. Keeping alert is not always enough as accidents can happen in an instant and leave us wondering what went wrong. I think it's fair to say that few of us give much of a thought to loading or packing our caravans correctly, or perhaps we just don't know how to do it safely. It can literally mean the difference between life and death on the road and far too many holidays that involve towing a caravan can end in disaster. In the following video we look at how packing your caravan can change how it behaves while towing. The effects of moving weight within the caravan or adding jerry cans for example, to the outside of the caravan can drastically alter how it follows behind your car. Everyone’s costs will of course be different but there are some variables you need to consider when preparing your budget. What will be the length of your trip? Planning a caravan trip around Australia that will take you 2 years to complete, will be a totally different cost to one that will allow you to be on the road for a much lesser time. 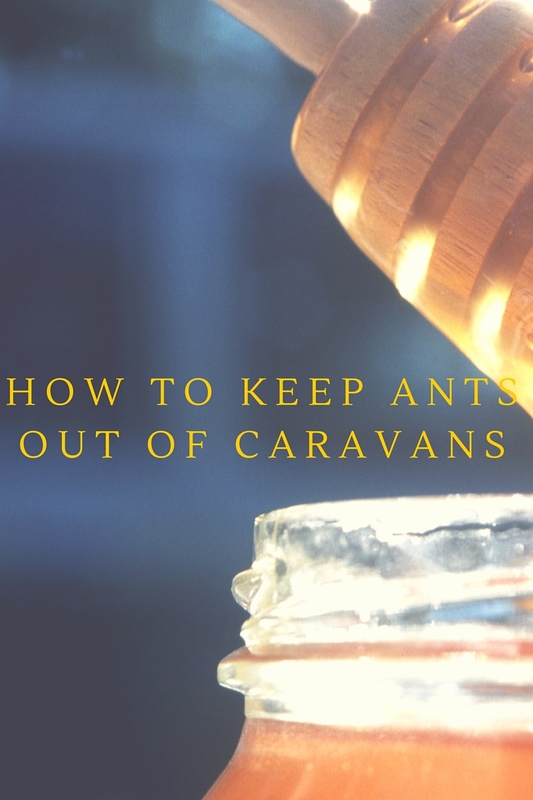 So knowing how long you will be away will be a key factor in determining how much it will cost to caravan around Australia. Australia is a truly vast country. We met a couple on the road who had been travelling for 8 years and were on their 4 circuit around the country. They commented that they felt that there was so much more to see, so try not to rush it. How many klms will you want to travel per week? It is handy to know the average klms/per litre that your tow vehicle will use while towing your caravan. That way you can work out roughly how much you will spend on fuel. If you are planning on travelling to remote areas, factor in higher fuel prices. Will you be staying at caravan parks or free camping? Here's where you can save a lot of money. Australia has a great network of free camps but of course they don't offer the same facilities as caravan parks, although most have toilets, some have outdoor showers. The best way to find these free camps is to download the 'WikiCamps Australia' app. There is also a publication called 'Camps Australia' which is very good. Some attractions are free such as museums. However most come with an entry fee. So again, it depends on how many attractions you want to see. This can really add up quickly and can have a major impact on your budget. It is good practice to research attractions and prices on the Internet. Trip Advisor will give you a good idea of the most popular ones in your area, together with the prices for each, so you can plan ahead. Here's another way that you can save significantly on your costs. Buy local produce and prepare your own meals. Clearly home made meals are going to be cheaper than eating out at restaurants or takeaway food outlets. Aldi supermarkets continue to be Australia's most competitive supermarket, however Aldi does not have as many supermarkets throughout Australia as their competitors. Always have a repairs and maintenance budget which will cover things like flat tyres, wheel bearing replacement on your caravan, servicing and repairs to your tow vehicle and caravan etc. This will depend largely on the age of your caravan and vehicle you are using to tow it. As vehicle get older they usually require higher costs to maintain as components wear out. It goes without saying that both your tow vehicle and your caravan should be insured, so this expense should also be factored into the cost to caravan around Australia. 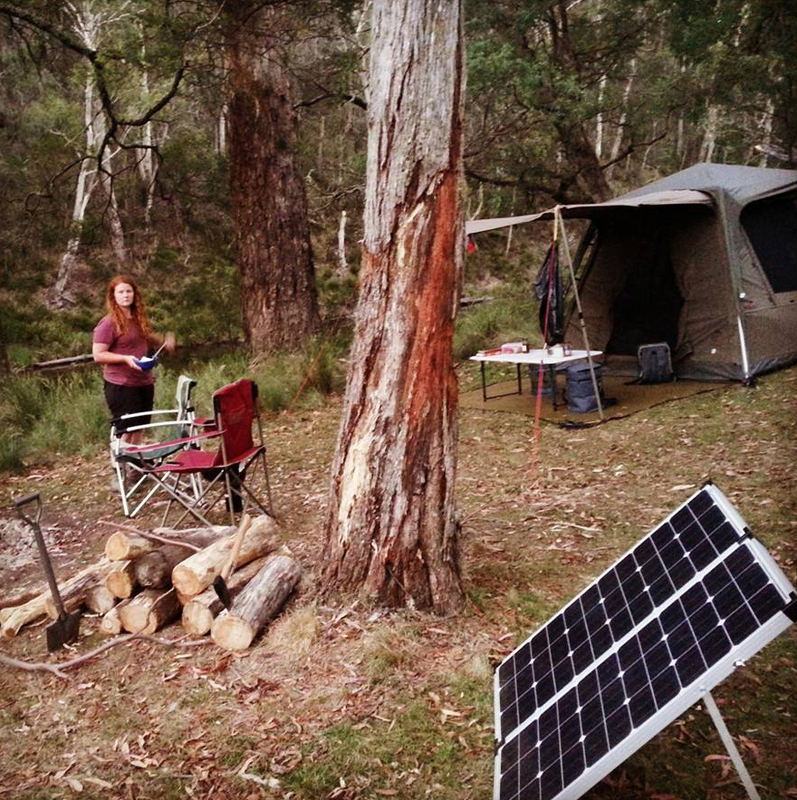 Recreational Solar is a term used to describe the use of 12 volt solar panels for caravans, and outdoor leisure and recreation use. 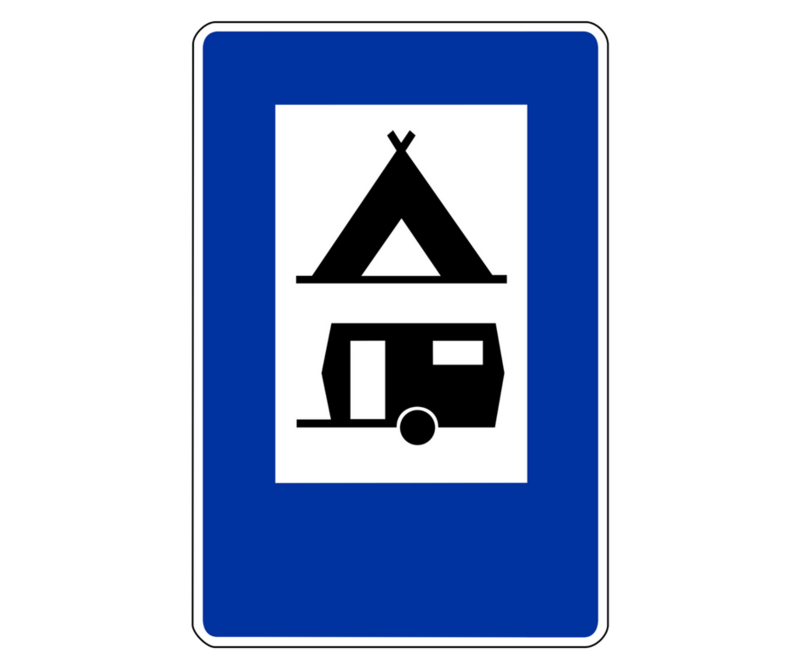 This typically covers caravanning, camping, four wheel driving and marine leisure activities. 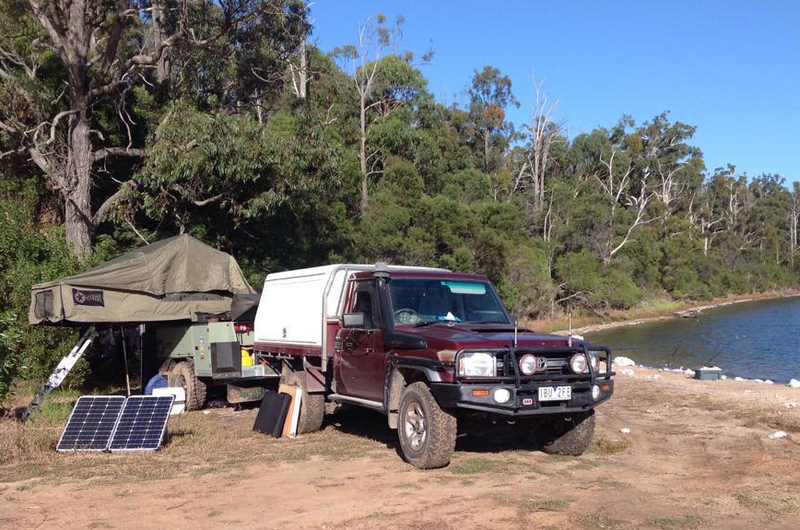 RV Solar Supplies (RVSS) is a Brisbane based company that was established in 2012 by owner Spencer Smith. Spencer has a background in engineering and a passion for ‘powering freedom’ using solar energy. Recreational solar panels for caravans, fall into three main categories – folding, fixed and flexible solar panels and typically range from 80W through to 180W in size. Anyone considering investing in a solar system for their RV should first decide whether they want a portable solar panel or a permanently mounted fixed solar panel on the caravan roof. There are pros and cons of each. A portable folding solar panel gives the user the flexibility to park their RV in the shade and put the solar panel out to work in the sun. Drawbacks include storage and potential theft if left unattended. A solar panel that is permanently fixed to the roof of an RV will keep the battery charged whilst travelling around but means parking in the sun when pulling up at the camp site which leads to a hot caravan! RVSS portable folding solar panels are packed full of useful features and are higher quality than most on the market. Spencer advises to compare apples with applies when looking for a folding solar panel as there is a wide range available. RVSS 120W folding kit retails for $480 and their 160W kit $599 and comes with solar panel, controller, 8m cable, carry case – everything you need for a walk away portable kit. 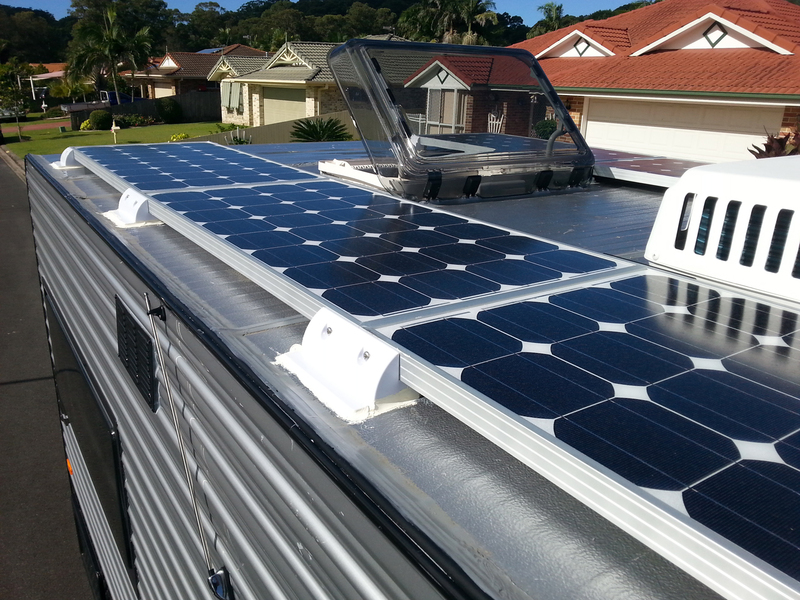 A permanent solar system can include either fixed or flexible solar panels mounted to the RV roof. Flexible solar panels are becoming more popular due to their light weight advantage (less than 2kg) when compared to normal solar panels. A solar panel(s), cable, plus a good quality charge controller can cost anywhere from $300 to $800 to purchase depending on how much solar power is required. Most people tend to install their own panels and wiring but factor in the cost of labour if using an installer to do it for you. RV Solar Supplies is the only recreational solar company that has been endorsed by the CEO of the Australian Solar Council, John Grimes. RVSS has a special offer for readers on their 120W Folding Solar Panel kit which uses BOSCH solar cells amongst many other great features. They are offering a 20% discount off their normal retail price, down from $480 to $380 and is valid until 30th June 2015.